Hi there! Just a another quick lip balm review today. I bought these cute lip balms at Paperchase. I simply couldn’t resist these cute owls! And hey, it’s a set of three lip balms for half price – so why fight the urge to buy? I was pleased with these balms’ moisturising properties, but I did not like their flavours at all. 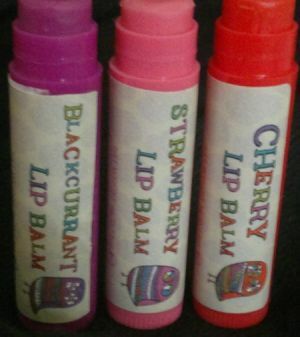 I found the flavour of the Blackcurrant lip balm to be tolerable, but the Cherry and Strawberry lip balms tasted rather plasticky and not very fruity. What’s the vedict? I wouldn’t buy them again. Saying this, the lip balms were a limited edition so they’re unavailable for purchase now. But to end this post on a positive note: Paperchase has done much better lip balms since!